We could sit here all day in your sunny place and make lofty assertions about our carpet clean competence, but we don’t want to bore you. Besides, we’re highly assured of our abilities, and don’t feel the need to engage in braggadocio to get our point across. If you enlist our rug cleaning services, you will get a visit from the best carpet cleaners . As a result, your carpets will look fresher than they did the day they were laid. To top it off, our Putney carpet cleaning services are reasonably priced, too – in fact, we’ve undercut our competitors by quite some margin. Call us now on 020 8434 7390 and reserve your appointment now! Unfortunately, quite a lot of people elect to simply buy an entirely new upholstery item, or set of fittings, when their current batch look a bit worn and tired. However, the wiser consumers out there know there’s no need to replace anything – simply get in touch with our team of upholstery cleaners in SW15! Why chuck out your beloved upholstery, when you can keep them and make a saving on top? Our sofa cleaning experts return upholstery to its original glory at a highly competitive price. You can arrange a thorough upholstery clean whenever you like over the telephone! Carpet Cleaning Putney are experts at making rental properties look unlived in! Their ability to make every surface sparkle and shine is unparalleled in the end of lease cleaning industry! They also pride themselves on their ability to ensure the safe and full return of cash deposits made by renters. You’ll naturally be concerned about this when leaving a property, as little spots of grime can cost you tons! End of tenancy clean SW15 from us will radically rejuvenate your former lodging. Get in touch with us on 020 8434 7390 directly to hear more about our move out cleaning service. Putney domestic cleaners don’t come much more experienced or adept than the ones we employ! You also won’t find a home cleaning firm as willing as we are to consult with you directly in order to create the ideal, tailored house cleaning solution for you. Domestic clean from our experts in Carpet Cleaning Putney will help your home reach aesthetic heights you didn’t think were possible. We haven’t come across a client we weren’t able to 100% satisfy as yet – give us a ring now on 020 8434 7390, or drop us an email, and put us to a test why don’t you? When it comes to Putney home cleaning services, the best way to tell a firm’s abilities and standards is how long they’ve been in business and how many happy customers they have worked for over the years. Luckily for us, we’ve been around for donkey’s years, and we’re still here – and we’ve left a number of extremely content clients in our wake. When people come to us, they do so knowing we’ll provide them with the best house cleaners around, and deliver the greatest home clean on the market by a considerable margin. Far too many building cleaning companies expect the businesses they work for to adjust to their specific penchant. Carpet Cleaning Putney, however, like to put power in the palm of you and your business’ hand – everything we do is up to you, from where we focus on in your office to when we work to how many office cleaners we provide for you. Arrange a visit from our industrial cleaning team, and find out for yourself? Phone today on 020 8434 7390 and hire the best SW15 office cleaning service in the area! Rely on our perfect carpet cleaning services in Putney SW15 that fit any budget. Book our cleaning services today and pay less. I want to thank the whole team at Carpet Cleaners Putney for their efforts and hard work! You have been indispensable at keeping our workspace immaculate!! I wanted a one-off cleaning service to get my new house looking good. We had moved in but had little time to get the place cleaned from top to bottom because of work. My girlfriend suggested we hired Cleaning Carpets Putney as she had heard good reports about their work. They were wonderful and did a terrific job at a fair cost. The cleaners worked nonstop and covered every small detail; it was marvellous. I had never moved before so I didn't know about end of tenancy cleaning. I didn't make time for it and wasn't prepared at all so I had to hire Carpet Cleaner Putney. They took care of the task for me, so I could keep working on my move. Everything was sorted in the end and it was only because of their involvement. Putney, Wandsworth, Earlsfield, Wimbledon, Colliers Wood, Fulham, Morden, Coombe, Mortlake, Clapham Junction, Balham, East Sheen, Barnes, Kingston upon Thames, Raynes Park, Acton Green, Lower Morden, Southfields, Hyde Farm, Tooting, Richmond, Kew, New Malden, Southfields, Ham, Petersham, Richmond Hill, Roehampton, North Sheen, Old Malden, North Sheen, Chiswick, Gunnersbury, Turnham Green, Bedford Park, SW15, SW6, W4, SW18, SW12, SW17, KT2, TW9, SW20, SW11, SW19, KT3, W6 and the rest of London as well. 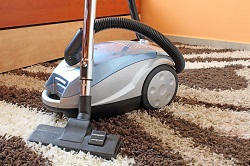 Description: Let us be your map and compass in carpet cleaning in Putney, SW15. Give us a call on 020 8434 7390 and let the rest to us! Copyright © 2015 Carpet Cleaning Putney. All rights reserved.